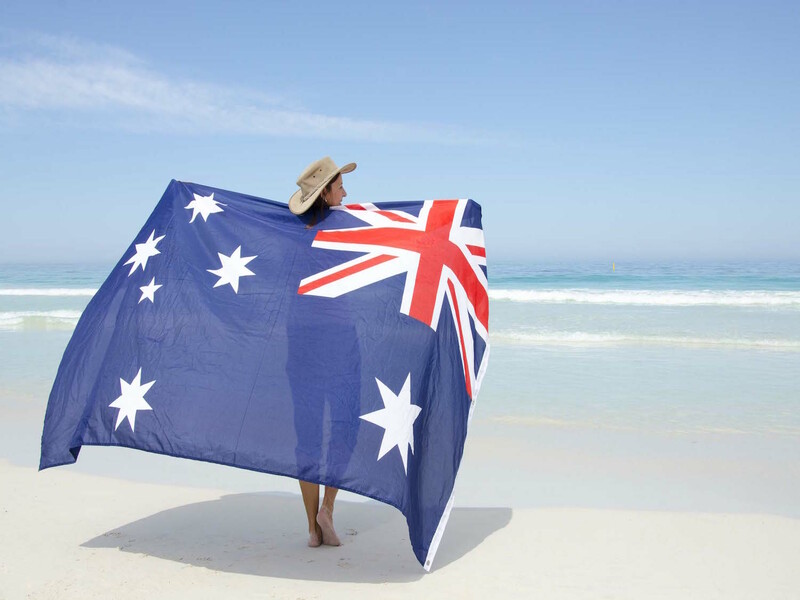 How are you choosing to spend this Australia Day? It’s the day dedicated every year to celebrating being an Australian. This will vary from person to person as we are one extremely culturally diverse nation, for some this is a day for celebration, a day to reflect on Australian history or for some it may just be an excuse to get out of work. Whatever the reason, here’s a quick guide to some ways people around Perth will be spending the 26th. One of the benefits of celebrating Aussie day in Perth is there is a very high chance it’s going to be a hot one. As the public holiday falls right in the middle of summer, you are able to start the day out with a swim at the beach, or better yet spend the whole day there! Although, if you’re planning on heading down to City Beach, I’d make sure to get in early if you want to snag a cabana! And always remember to Slip, Slop, Slap! We may be known as the sunburnt country but no one enjoys being a lobster. It’s a day to celebrate one of our nations most cherished traditions – the BBQ. Whether it’s at home or you manage to set up camp for the day down on the foreshore, it’s a great way to celebrate the public holiday with friends and family. Fire up the barbie, invite your mates around and fry up a few snaggers while washing down a cold one. Would the party even be a proper barbeque without the appearance of Sheila’s “famous potato salad” or a friendly game of cricket? It’d be bloody unAustralian if it didn’t. 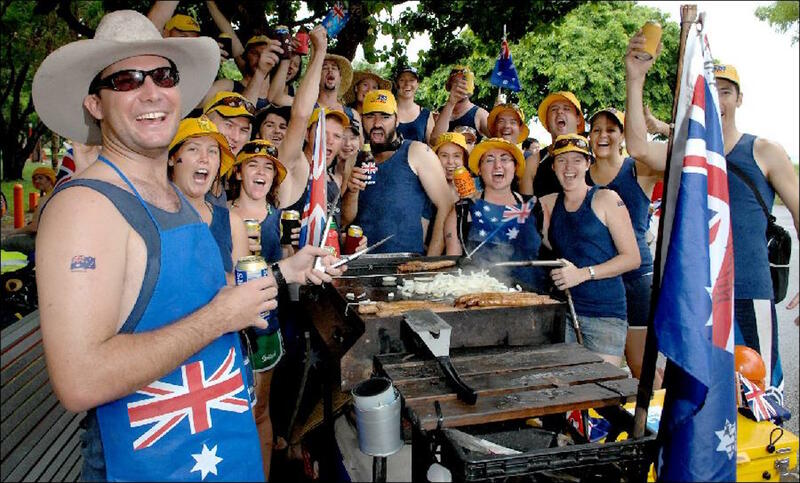 For those who choose to embrace some of our less attractive national qualities, a good old fashioned piss up may be how you’re planning to spend Australia Day. This type of event celebrates our strong grasp on binge drinking, larrikinism and cheap blow-up pools being slowly filled with urine. If you’re planning on going to one of these Aus Day shindigs, you’ll probably have purchased the Australian flag patterned shirts, thongs, hats etc. and have the highest “chuck a sickie” philosophy on the 27th. Raft Up - "We're on a Boat"
For a touch of class to your Australia day celebrations, you may opt for a raft up. 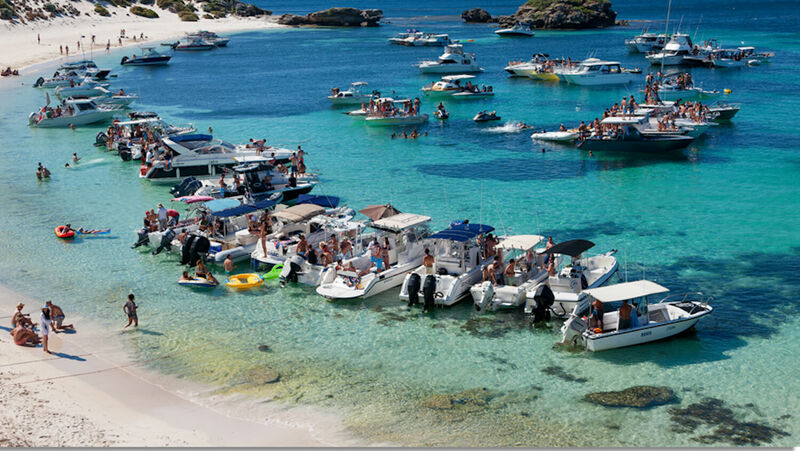 Pack the eskie full of craft beer, throw on a pair of bathers and sail on over to Rottnest Island. Drop anchor down with the rest of the boats for a relaxed day of comparing who’s is bigger… the boats of course. Alternatively, join one of the organized events with one kicking off in the city with five boats and a floating inflatable water park! Big kids only though. For some this is the most anticipated event of the year - which artist made the number one song for 2016. Second to that, is finding out if you are the lucky recipient of the elusive GOLDEN TICKET, a free pass to all Triple J supported events for an entire year! This is truly the holy grail of prizes for true music fans. Unlike the Eastern States who start the countdown at the respectable time of midday, being out West means our day begins at 9am. The lengths you go to for your favourite artists! Now if you’ve managed to make it to 8pm, and haven’t passed out due to either heat stroke from being in the sun all day or sinking to many beers; why not watch the firework display? With launch sites set up all over Perth, everyone has the opportunity to finish the day off, quite literally with a bang. 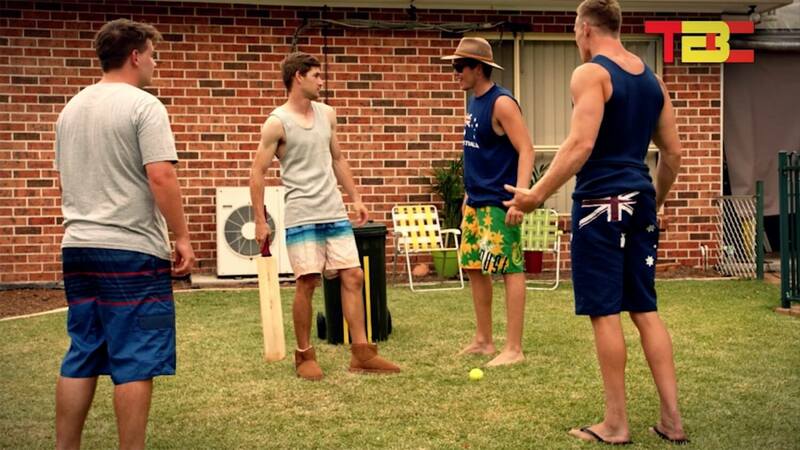 No matter the way you choose to spend your day on the 26th, We are all Australian. Enjoy the day off or the penalty rate perks associated with it, celebrate the day or not it is up to you.